Have you ever thrown something away you later needed? I almost did that with my life. RecoveryChick is a Christian-based recovery community and 501c3 non-profit. We are a breed of broken people who are in the process of being transformed. We are not ashamed to tell our story and not ashamed of Jesus. We are putting a purpose to our pain. We are sharing our lives with others so, they too can be free. When He sends us, we will go. We are applying recovery principles to every area of life, and living a life we never could've imagined. We are recovering from anything that’s keeping us from living our God-given purpose and destiny. We are stepping out of denial and into God's grace. Look around, stay a while, and enjoy this Christ-Centered recovery community. For I know the plans I have for you,” says the Lord. Find out where the RecoveryChick will be in a city near you! 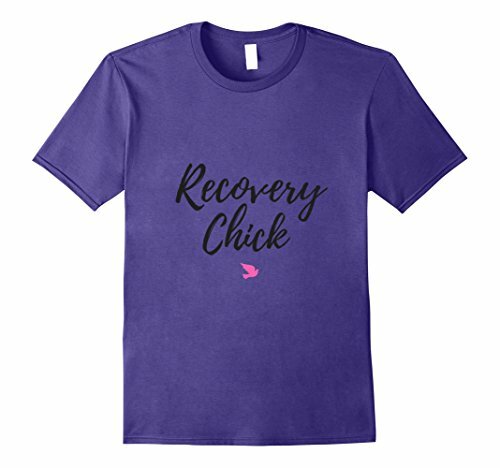 RecoveryChick Merchandise Available on Amazon. Many colors and styles. Your purchase supports recovery in USA. Are you interested in getting plugged in? You can become a contributor to our cause, or participate yourself. We've been praying for you to get involved.